For the 2019 Rattle Chapbook Prize, we received 1,404 entries, and far more wonderful manuscripts than we have space to publish. We’re excited to announced three winners this year. 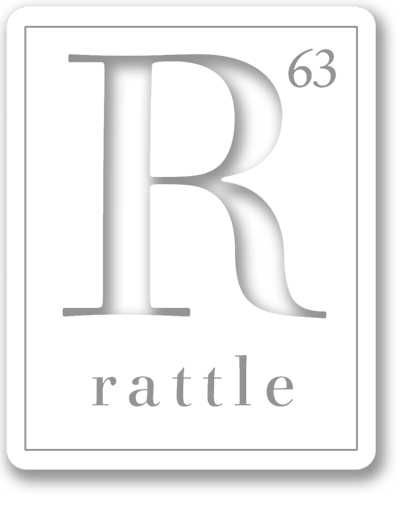 Each poet will receive $2,000, and each of their chapbooks will be distributed to all 7,000 of our subscribers, beginning with the Fall 2019 issue of Rattle. Jimmy Pappas served for the Air Force during the Vietnam War as an English language instructor training South Vietnamese soldiers. He received a Bachelor’s of Arts degree from Bridgewater State University and a Master’s in English literature from Rivier University. Jimmy is a retired teacher whose poems have been published in many journals, including Yellowchair Review, New Verse News, Shot Glass Journal, Kentucky Review, Cha: An Asian Literary Journal, Off the Coast, Boston Literary Magazine, The Ghazal Page, and War, Literature and the Arts. His poem “Bobby’s Story” was winner of the 2018 Rattle Poetry Prize Readers’ Choice Award. He is a member of the Executive Board of the Poetry Society of New Hampshire.